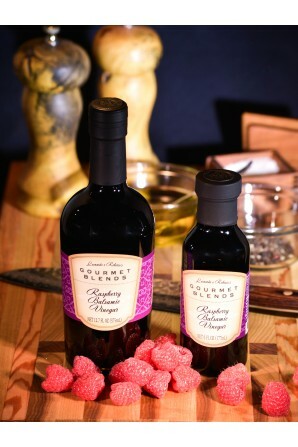 If you like raspberries you are going to love our Raspberry Balsamic Vinegar. It doesn't even need olive oil in a salad. 100% fat-free. Are you ready to take your spinach salad to a whole new level? Make life easy on yourself and toss together a spinach salad with some feta, gorgonzola, dried cranberries, and walnuts. Drizzle our exceptional tasting classic raspberry balsamic vinegar over the salad and make sure you top it all off with a little bit of diced strawberries and pears. 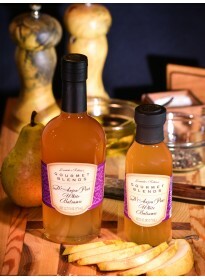 If you don have pears or to add to the "wow" factor of the salad add our Pear White Balsamic. 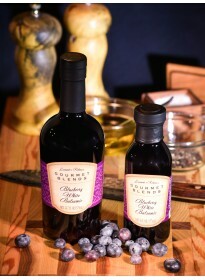 Combine with our Blueberry White Balsamic Vinegar for an extraordinary, one of a kind ice cream topping. 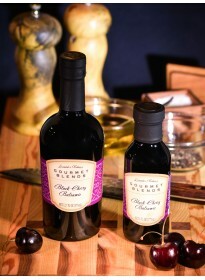 For an extra zing, pair our raspberry balsamic vinegar with one of our citrus olive oils. 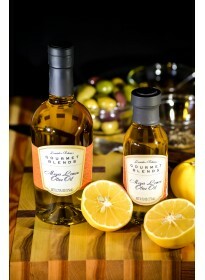 Pair our Raspberry Balsamic Vinegar with our special Gourmet Blends only Meyer Lemon Olive Oil. 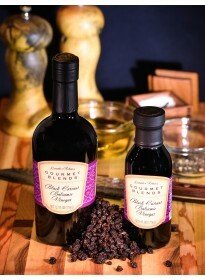 Try our delicious Raspberry Balsamic Recipes. 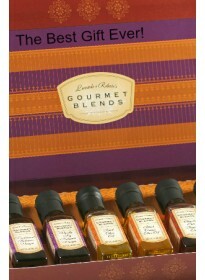 Click and get more pairing suggestions for balsamic vinegar and olive oils. 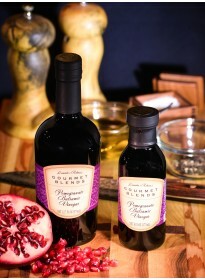 Ingredients: Balsamic Vinegar (4.5% Acidity), Raspberry Juice Concentrate, Gluten and Fat Free.